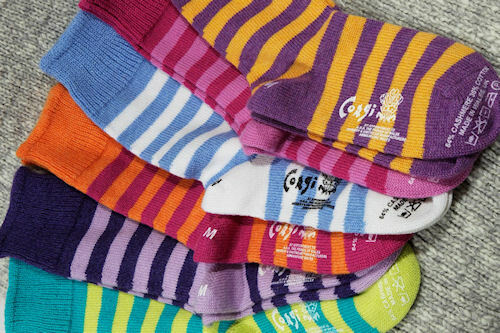 If one was susceptible to conspiracy theories, it's possible to believe that the cognoscenti of men's hosiery had made a determined effort to keep Corgi socks to themselves over the years. Taking in the admiring glances as they flashed an ankle, but saying nothing. But lines of communication have opened up in the sock world in recent years, and more people are getting to hear about these Welsh wonders as quality shops around the world ship in Corgi socks. Corgi Hosiery celebrates its 120th anniversary, erm, last month. And we're belatedly joining in the celebration at Tweed Towers with Corgi Hosiery Week. So let's put our best hand-linked sock-clad foot forward and learn a little about the company. 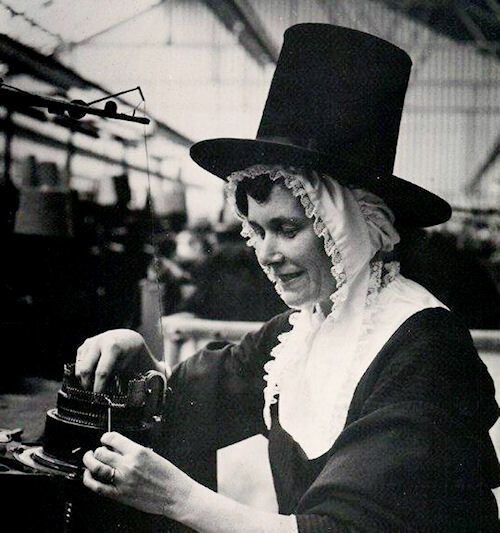 CORGI Hosiery has been manufacturing socks in Carmarthenshire, South West Wales since 1893. The company was started by the wonderfully Welsh-sounding Rhys Jones and remains a family business five generations later. As you probably guessed, the company takes its present name from the Welsh breed of dog favoured by the Queen. The company began by making robust working socks for local colliers and a range of fine quality socks for them to wear to chapel on Sundays. The socks were made on Griswold knitting machines that are still in use. 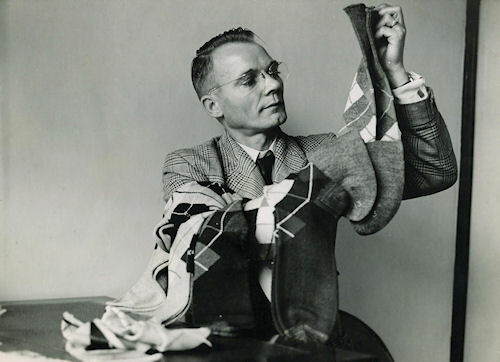 Two generations later, with grand-daughter Enid and her husband Glyn at the helm, automatic machinery and an expanded workforce enabled the company to help out with war effort to make socks for the Allied forces in the Second World War. During this period Corgi also began to innovate with design, pushing their Griswold machines as far as they could. That's Glyn at the top in 1963 holding some classic Argyle pattern socks. In 1989 Corgi was awarded a Royal Warrant by his Royal Highness, the Prince of Wales - a significant mark of quality from Britain's best-dressed man. The socks are beloved in Anglo-America and Japan, as well as the UK, because this Welsh dynamo of a company has never compromised on quality or the integrity of its products, nor relinquished its provenance. Corgi will survive as long as there are many people who value such things. There's a certain symmetry when a heritage company that makes socks joins forces with one that makes gloves. And that's what happened when Cogi joined Dents the Wiltshire glove maker in 2008. People who enjoy the quality of a Corgi sock on their feet will feel the same about a glove from Dents on their hand. People like you, kind reader.